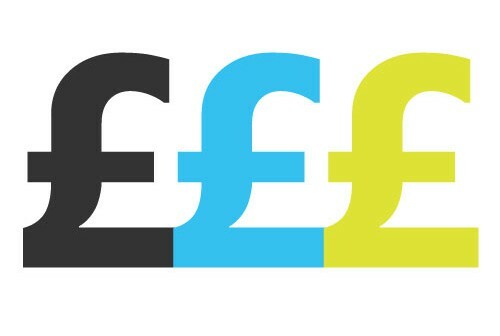 For all marketers – the latest marketing salary surveys are below. So how does your salary stack up against your peers? Now and again, it’s always good to take stock of where you are in your career, think about what you’re long term goals are and if you’re on track. Find out which sectors pay their marketers the best salaries and which sectors do marketers most want to work in? See below for details of marketing salaries by job title and by sector. Take a minute to check if you’re in line with the national averages across the sectors with the latest salary survey from Marketing Week. The survey of 3,435 marketing and digital professionals was conducted in collaboration with Marketing Week’s sister brand Econsultancy – and I’ve summarised the key findings below for you. 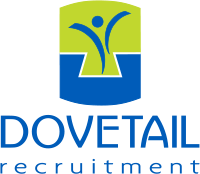 ‘other marketing /pr’, Market Research – Executive and Manager and those in ‘Advertisting & Sponsorship. There is also a survey available on the number of jobs available in marketing generally, in comparison to last year. According to this, the current number of marketing jobs available in the UK is 8,610 – which has decreased by 279. The role most in demand today, is unsurprisingly Digital Marketing Manager at 1223 vacancies, which is up by 166 on last year. The role least in demand is in the category of ‘Advertising & Sponsorship’ at only 38. n.b. This is likely to be due to changes in job titles, and this would naturally fall under a digital marketers or marketers role, along with other responsibilities. Gaming & Gambling pay the highest salaries. Education pays the lowest salaries in marketing. 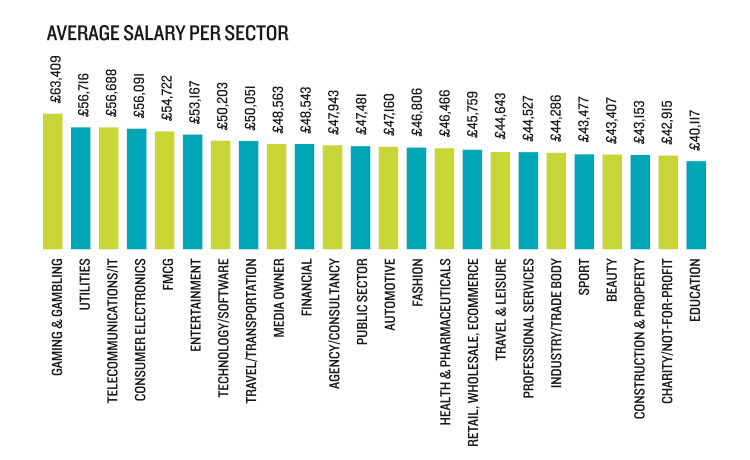 Although Utilities is the second highest for salary – only 1.7% of marketers are considering a move into this sector. You can also take advantage of Marketing Week’s useful Interactive Salary Checker for more insight into how your salary compares in today’s market.